I'm raising £2000 to create and promote Hmongdom (aka Hmong Domain) an online forum which will empower Hmong farmers in upland South East Asia to improve their livelihoods and escape poverty! 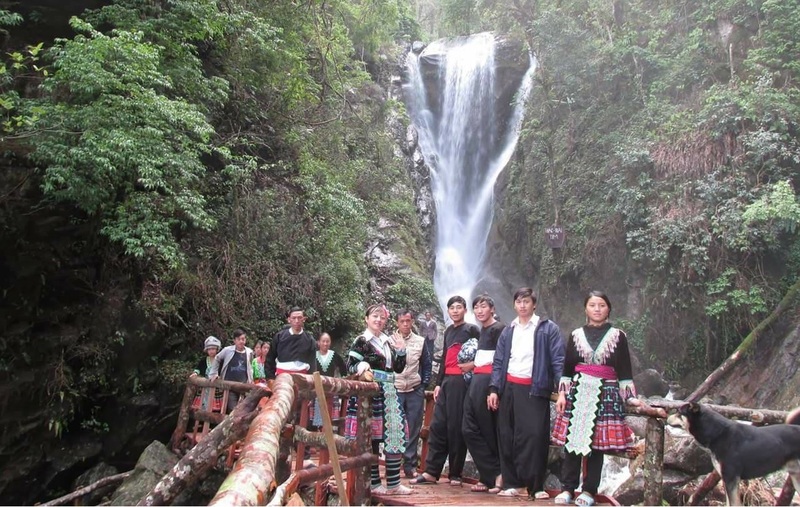 There are over 4 million ethnic Hmong living in the highlands of Vietnam, China, Laos and Thailand. Originally from Southern China, the Hmong fled from their homeland a few hundred years ago after oppression from the Han (ethnic Chinese) who colonised their lands. When they arrived in Vietnam and Laos, all the best land was already occupied by others, so the Hmong settled on the highest, steepest and least fertile lands, making farming very challenging. To make things worse, the Hmong suffered heavily in Cold War conflict and ongoing ethnic discrimination and prejudice from the lowlanders who run the governments. Furthermore, the older generation who did not go to school and cannot read or speak the national language of their country (e.g. Vietnamese) are further marginalised, often unaware of or unable to access government development initiatives. In Vietnam, the 1.2 million Hmong have the highest poverty rates and lowest education rates in the whole country. Throughout their hardships, the Hmong have a strong sense of ethnic identity which is maintained in spite of long distances between communities living in South East Asia, all the way to the USA, Australia and France where there are large diaspora communities. There is a strong sense of solidarity and desire to help out those facing poverty, which is what will drive this project. We will start by working with a Hmong-language TV network based in Thailand, where the Hmong are more affluent, to interview successful farmers and businessmen for advice and information on anything from rearing livelihoods to cash cropping techniques, market prices and so on. These will be filmed in Hmong language and then uploaded onto the Hmong-dom (Hmong-domain) online forum. In Vietnam, we'll then mobilise the Hmong students and young people, many of whom have online access via smart phones, to return to their home villages and show these short videos to their relatives and neighbours. This is where the beauty of the project lies: everyone will be able to access it, including those who are illiterate and can't speak Vietnamese. Furthermore, the videos will play to the strengths of Hmong culture which values oral and visual learning. The results will be tangible, practical development opportunities for thousands of impoverished farmers as well as stronger networks within the transnational Hmong community. But this is just the beginning! The Hmong-dom forum will be open for anyone to upload videos - from Laos, China, USA, wherever - as well as for users to review the videos and give feedback or requests for future videos. The project will be reviewed over time to ensure effectiveness, and there is no limit to the possibilities in which the network can be utilised for rural community development. My name is Seb and I'm a PhD student in Warwick University, UK. 8 years ago I did a study year abroad in Vietnam where I learned the language, made friends and did lots of travelling! 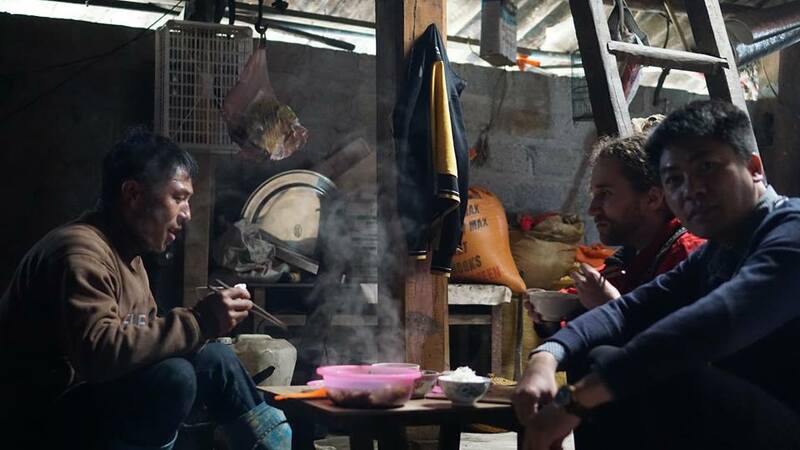 Visiting the beautiful highlands in the North, I was struck by the poverty and hardships faced by ethnic minorities, many of whom miss out on the benefits of Vietnam's rapidly developing economy due to their remote location and, at times, ethnic discrimination... This experience fueled my research interest in the ethnic politics of Vietnam, as well as Hmong culture and music. On a recent trip, I interviewed a Vietnamese Hmong who had met two Hmong men from Thailand - they had given him some advice on breeding pigs, which implemented successfully and made him the wealthiest Hmong in his village. This man had benefited immensely from a religious network, but it got me and my friends thinking: what if there was a way to make this transnational Hmong knowledge open to everyone? If we reach the minimum target, the Hmong TV network in Thailand will be able to start the online network and make a few videos. Hitting the full target would enable more videos to be made and we could also employ someone in Vietnam to monitor the forums and mobilise the youth. US DONORS: CLICK LINK BELOW TO MAKE YOUR DONATION ELIGIBLE FOR TAX DEDUCTION! Please make gift direction out to other - Spark: Hmongdom (if donating online, write this in "Your message") Thank you!! It takes slightly longer to receive US donations so if you would like to benefit from rewards please write in our comments section! Your greatest reward will be the satisfaction of knowing that you contributed to making a real difference to reduce poverty in South East Asia! ...having said that, we also have some extra rewards to thank everyone who donates, whatever the amount you might give. Check them out. With your help, the project will begin in 2018 and donors will be given regular updates on progress. Follow us on https://www.facebook.com/Hmongdom-1753522787994214/ to find out how we're doing! We need your support to promote the project – you don't need to give money to help us succeed! Please share this project with anyone you think would support us – on Twitter, Facebook, LinkedIn, by email, telephone, in a chat over the fence or on your blog. Social media shout-out - we’ll give you a personalised, public thank you message on Facebook. You will receive exclusive access to 'highlands fusion' music recording/video (a side-project of mine) which combines traditional Hmong instruments with Scottish folk! In addition to the above, your name or company name will be included on the list of benefactors on the Hmongdom online forum website. Thanks for your generosity! In addition to the above, your company name will appear on the homepage of the Hmongdom online forum as an official sponsor. Thanks so much for your generosity!